Is YouTube ripping off music creators? You may have caught a little of this on the radio over the weekend, but the complaints raised on stations far and wide by UK producer Pete Waterman about YouTube's business practices are well worth a second airing. The 62-year-old champion of bland pop is up in arms over royalties paid by the Google-owned site for playing his songs over 150 million times during the Rickrolling boom last year. Even that massive amount of airtime for Rick Astley's Never Gonna Give You Up, among others, netted Waterman just £11 in royalty payments. He initially brought the derisory sum up at a press conference for the launch of a campaign for fair payments from YouTube. Explaining just how low the video-sharing site has fallen in his estimation, Waterman said: "There was I sitting at Christmas thinking, 'I must have made a few bob this year with the old Rickrolling' [but] ... if 154 million plays means £11, I get more from Radio Stoke ... than I do from YouTube." The new Fair Play For Creators website also has the support of musicians from Billy Bragg to Sandie Shaw. Among the comments on its site, arguments typically agree with Nicky Graham, one-time Bros writer. 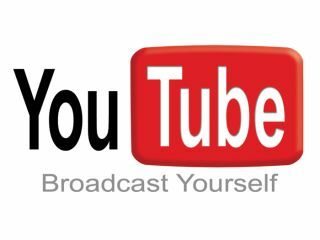 He said: "...figures ... on YouTube clearly show that it is one of the biggest broadcasters in the world. Why then ...[do] Google disrespect copyright law and refuse to pay for the use of music?" In response a YouTube spokesperson explained: "We absolutely believe that artists and songwriters should make money from the use of their material. We are very committed to reaching terms so that we can renew our licence."